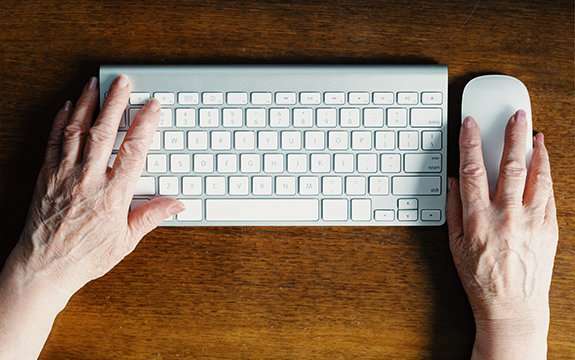 In a new report titled 60+ Online: Engaging Seniors Through Social Media and Digital Stories, Swinburne researchers reveal that the digital literacy of older Australians improves when they are taught digital skills using their own stories and interests compared with when they are taught the mere functionality of online access and operation. The report reveals older Australians experience the highest level of digital exclusion in the country and there is a "disproportionate number" of seniors who have no understanding of, access to or experience with online technologies. This can lead to social isolation as well as reduced participation in essential services such as welfare and health and the economic benefits of the emerging digital society. Lead researcher, Dr. Anthony McCosker, says through three skills development workshops with older Australians the research team aimed to ignite the interests of the participants in the digital world and social media by shifting the focus from teaching the operational side of the internet, to learning through the creative side. "We aimed to engage seniors in digital literacy learning by making it less about learning buttons and steps, but rather sparking their interest in telling stories through digital video, and sharing through social media," he says. "We co-designed the workshop model, and ended up focusing on three topic options: personal or local histories, social groups or clubs, and a walk in the local neighborhood." Dr. McCosker says the research found that "meaningful content creation and managed social media sharing" proved to be the impetus for the seniors not only developing new digital skills but also learning about internet safety, security and privacy and interacting with others online. He says a lot of the learning and sharing by the participants happened through a closed Facebook group which allowed the participants to confidently work towards a common goal of creating content they would be happy to share with family, friends or even publicly. "In the process, we address key issues for seniors around online safety and security, privacy settings, communicating and interacting with others online, downloading and learning new apps," Dr. McCosker says. He says technological change is seen as frustrating by many older Australians who feel left out of the digital age. The report found the interests-participation model to teaching digital and social media skills increased the problem-solving capability of the senior participants and improved their confidence. It also improved strategic digital skills, reduced isolation among those involved and supported social interaction with community groups, organisations and public and health services through digital channels. "Our findings demonstrate the value of the interest-participation model and point to ways it can be further developed into a broader based and adaptable program that engages seniors to learn digital storytelling and social media use," it finds. "While access remains an issue to be addressed, it is the participation gap that has become more pressing for seniors as a factor of digital exclusion. "By targeting creative digital content production and social interaction, the 60+ Online model engages explicitly with seniors' personal lives and community contexts. "Creating and sharing images or other digital media content brings personal motivations and interests to the fore and can help to place greater emphasis on social interaction. "There is a wide range of reasons why older adults avoid using social media technologies. However, there is evidence to suggest that engaging strategically with social platforms can help to embed a wider range of digital skills into seniors' everyday lives and improve social connections."